Time Pieces is an exciting series of repertoire which explores the wealth of music written from the 15th century to the present day. The pieces are presented chronologically within each volume and all include the year in which they were written too, so you can map your journey through time! Time Pieces for B flat Saxophone is a two-volume anthology providing a graded selection of well-crafted and idiomatic arrangements for saxophone and piano, Grades 1 to 5. All of them have been carefully written by Ian Denley to practise the note ranges and keys of the early grades while providing straightforward piano accompaniments for the teacher to play. 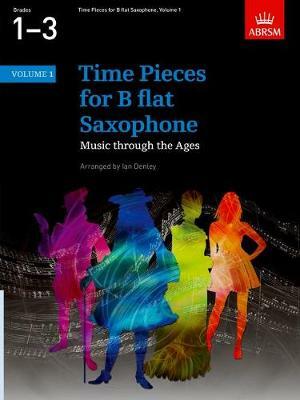 From Dowland to Vaughan Williams and from Lully to Weill, Time Pieces for B flat Saxophone allows the pupil to get a real feel for the different styles of music through time and will provide an invaluable, varied source of further study and recital repertoire.